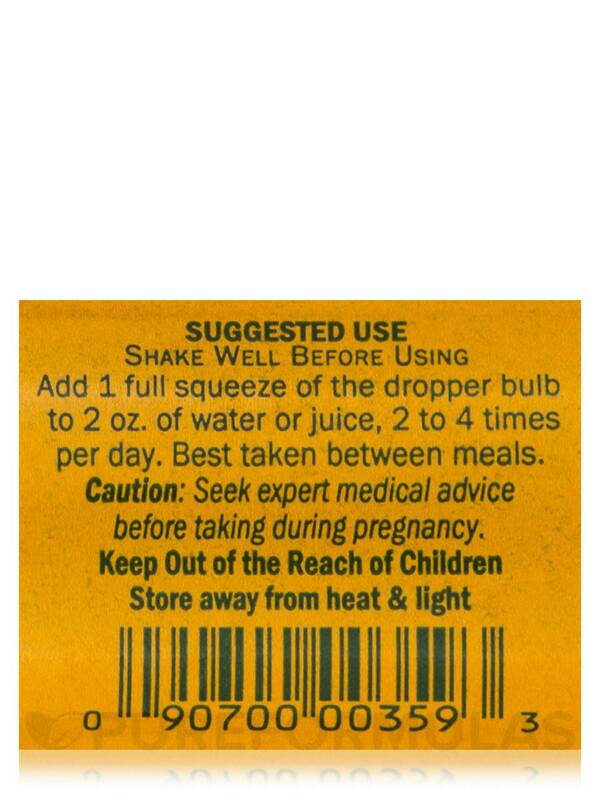 My wife has been a bit more "ready to go" since starting on this Female Libido Tonic Compound by Herb Pharm. Great product! Female Libido Tonic Compound by Herb Pharm has really increased my libido and oddly enough, it also helped with my hot flashes. Female Libido Tonic Compound by Herb Pharm didn't do anything for me in regard's to primary claims but has a nice cinnamony flavor. Could just be my body, might work for you. Natural ingredients never hurts to try. Female Libido™ Tonic Compound by Herb Pharm provides a blend of herbs that could potentially offer support for the female reproductive system. First‚ muira puama may work to stimulate desire in some women by potentially serving as a mild aphrodisiac. 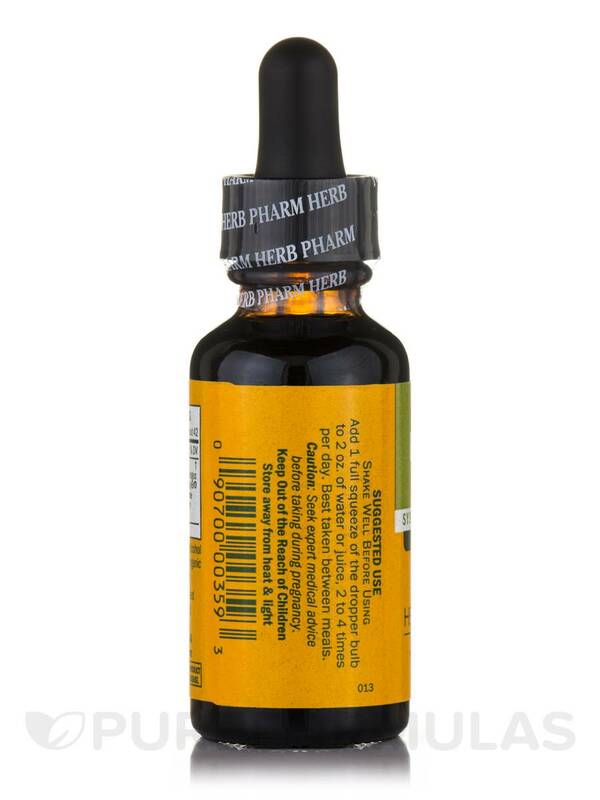 In addition‚ this supplement contains cinnamon bark‚ which may work to alleviate some signs of mild fatigue. Female Libido™ Tonic Compound also provides an herb called shatavari that has been used in traditional Ayurvedic medicine to help maintain female hormonal balance. As a result‚ Female Libido™ Tonic Compound may help address certain symptoms associated with premenstrual syndrome (PMS) or menopause—including mood swings‚ irritability‚ and hot flashes—that could potentially interfere with your libido. 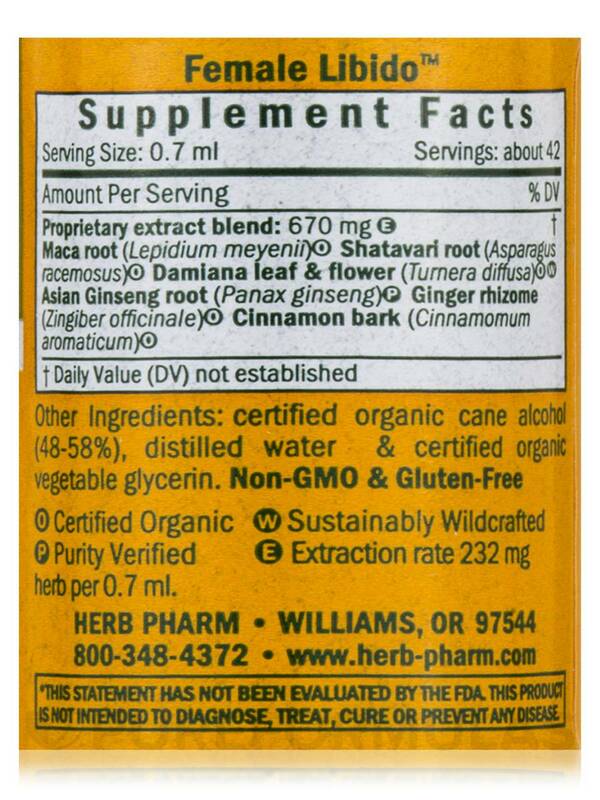 Moreover‚ Asian ginseng is commonly known for its potential to boost energy levels and promote overall vitality. Finally‚ the ginger rhizome in Female Libido™ Tonic Compound might have a mild anti-inflammatory effect. 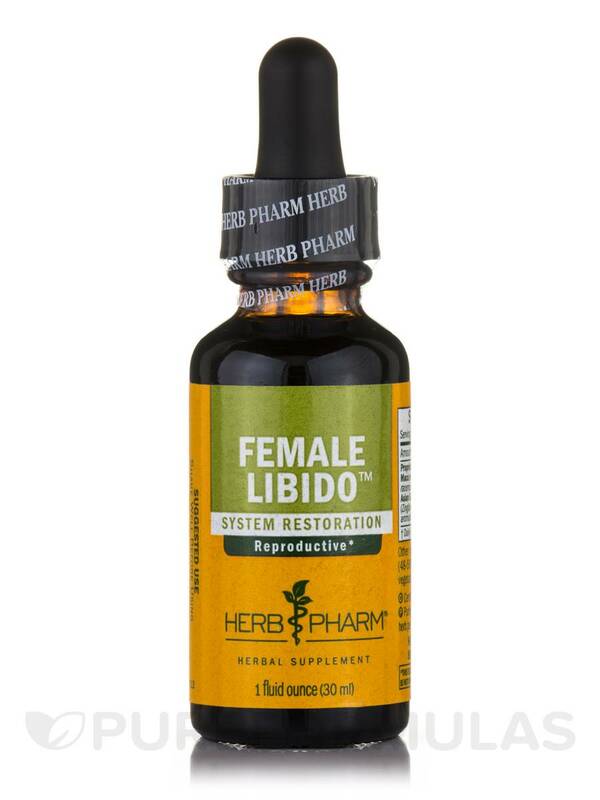 Each bottle of Herb Pharm’s Female Libido™ Tonic Compound contains one fluid ounce of solution. Maca root (lepidium meyenii) (O)‚ shatavari root (asparagus racemosus) (O)‚ damiana leaf and flower (turnera diffusa) (O)(W)‚ Asian ginseng root (panax ginseng) (P)‚ ginger rhizome (zingiber officinale) (O)‚ cinnamon bark (cinnamomum aromaticum) (O). Other Ingredients: Certified organic cane alcohol (48-58%)‚ distilled water and certified organic vegetable glycerin. It helped decrease my hot flashes at night. One thing I've realized with Female Libidom Tonic Compound by Herb Pharm is that it works best when used during the time of the month when you are normally most likely to "be in the mood". Works best in conjunction with Damiana tincture. Doesn't work as well if at all during times of the month you are least likely to be in the mood (ex. 1 week before your period).